Lovely lemon-coloured blooms, the perfect spring hyacinth. 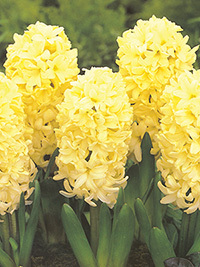 Lovely lemon-coloured blooms, the perfect spring hyacinth. 25 cm tall.